A little comparison from the economic point of view of the HP Deskjet 2050 printer and Canon MG3110 printer. The following comparison will be based on the economic side, we talk about printers aspects that influence us save money. 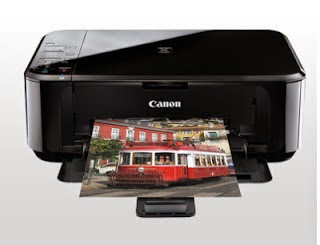 The HP Deskjet 2050 printer is a fast team that has a copier and scanner, which is a multifunction printer, but this does not turn the printer on the better of the two because the Canon also has those qualities. The biggest disadvantage of this printer is the cartridge yields because with it we can obtain only about 100 pages per cartridge replacement, whether this is not the best printer of the two, even this may be the worst printers manufactured HP so expensive that are consumable, made for a region like ours that does not have many resources. The Canon MG3110 printer is the same as that distributed in all regions, it has FINE ink cartridges which are very tough and durable with these ink cartridges can make the installation of a continuous ink system, which will help us to make a consistent savings in cost per page. Today we should consider buying printers give us more page yield a consumable based on price, we simply can not buy the printer to be economic, we must consider the futures prices, consumption and availability in our region.